How will Griffins integrate influx of skaters from Red Wings? A number of transactions were made by the Red Wings on Sunday that impact the Griffins' roster. Third season as a Griffin…Third year pro…Signed to a three-year entry-level contract by Detroit, 9/24/14…Reassigned from Victoria (WHL) by Detroit, 4/20/15…Reassigned from Victoria by Detroit, 4/24/16…Assigned by Detroit, 10/8/16…Assigned by Detroit, 10/1/17…Recalled by Detroit, 1/21/18…Assigned by Detroit, 1/23/18…Recalled by Detroit, 3/26/18…Assigned by Detroit, 4/4/18...Assigned by Detroit, 10/2/18...Recalled by Detroit, 10/3/18...Assigned by Detroit, 10/31/18...Recalled by Detroit, 12/8/18...Assigned by Detroit, 12/8/18...Recalled by Detroit, 4/1/19...Assigned by Detroit, 4/7/19. Career Highlights: 2017 Calder Cup champion with Grand Rapids…Became the 168th Griffins alumnus to play in the NHL when he made his debut with the Red Wings, 1/22/18 at NJD…Tallied a pair of assists for his first NHL points, 3/27/18 vs. PIT…Two-year captain for Victoria (WHL)…Assistant captain for Canada at the 2016 World Junior Championship in Finland…Earned a gold medal for Canada at the 2015 World Junior Championship. 2017-18: Tallied 12 points (3-9—12) and 32 PIM in 67 games with the Griffins…Added two points (0-2—2) and two PIM in five Calder Cup Playoff games…Played in his 100th game as a Griffin, 12/16/17 vs. MIL…Produced three points (0-3—3), a plus-five rating and two PIM in five games while making his NHL debut with the Red Wings…Averaged 17:20 of ice time with Detroit…Led the Red Wings in plus-minus rating…Became the 168th Griffins alumnus to play in the NHL when he made his debut, 1/22/18 at NJD…Registered a pair of assists for his first NHL points, 3/27/18 vs. PIT. 2016-17: In his rookie campaign, led all Griffins defensemen in scoring with 34 points (7-27—34) in 73 games…Ranked seventh among the AHL’s first-year blueliners in point production…Added a plus-15 rating, tied for third best among rookie defensemen, and 40 PIM…Made his professional debut, 10/14/16 vs. CHI…Recorded his first professional point on an assist, 10/15/16 at CHI…His first professional goal was the game-winner in overtime, 11/12/16 at MIL…Notched his first multi-goal game, 12/7/16 vs. CHI…Registered a season-high three assists on two occasions, 2/15/17 vs. MB and 3/4/17 at TEX...Scored eight points (1-7—8) in 19 playoff games, the most among team defensemen, helping Grand Rapids win the 2017 Calder Cup…Potted his first Calder Cup Playoff goal, 5/6/17 vs. CHI. 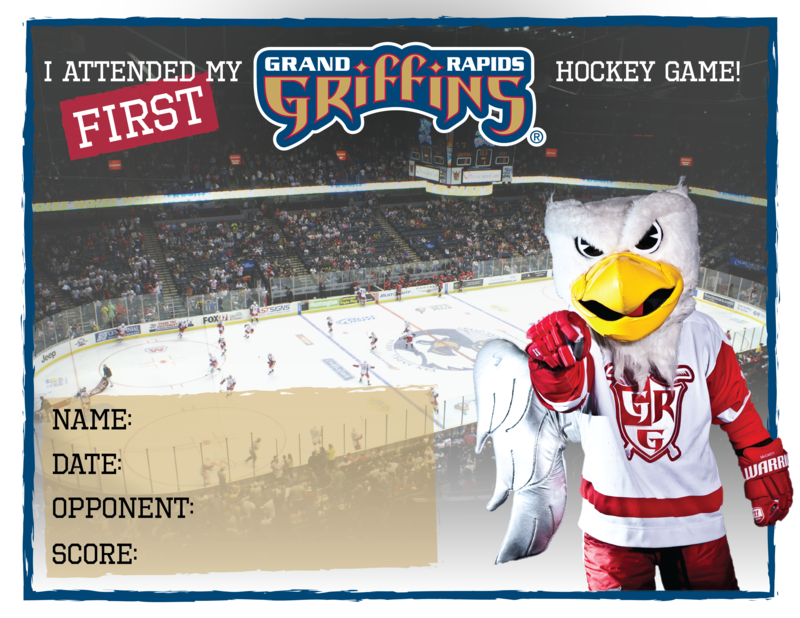 2015-16: Served as a black ace for the Griffins during the Calder Cup Playoffs…As captain for Victoria (WHL), ranked seventh among league defensemen in scoring with 61 points (8-53—61) and tied for second with 53 assists in 59 games…Placed among the overall league leaders with a plus-38 rating (10th), 53 assists (T10th) and 27 power play assists (3rd)…Nominated for Outstanding Player of the Year and Top Defenseman awards in the WHL…Named to the Western Conference’s First All-Star Team…Finished his career with Victoria’s franchise-record for most career points by a defenseman (173) and power play assists (70)…Recorded at least one assist in 36 games during the regular season…Registered 14 multi-assist games on the season…Put together a seven-game point streak (1-8—9) including an assist in five straight, 1/23/16-2/6/16…Good for seven points (1-6—7) in six postseason games…Represented Canada at the World Junior Championships in Finland…As an assistant captain, accounted for three points (1-2—3) in five games during the tournament. 2014-15: As captain for Victoria, ranked second on the team in scoring with 64 points (12-52—64) in 62 games…Ranked as one of the leaders among WHL defensemen with 64 points (2nd), 52 assists (2nd) and 27 power play assists (1st)…Placed among the overall league leaders in assists (T10th) and power play assists (T2nd)…Named to the Western Conference’s Second All-Star Team…Logged a six-game point streak, tallying at least one assist in each game (1-8—9), 10/28/14-11/8/14…Passed out a season-high four assists, 11/15/14 at VAN…Recorded an assist in nine straight games (0-12—12), 1/24/15-2/15/15…Accounted for five points (0-5—5) and 10 PIM in 10 postseason games…Contributed three points (0-3—3) in seven games and helped Canada win the gold medal at the World Junior Championship. 2013-14: As an assistant captain with Victoria, recorded 24 points (6-18—24) and 12 PIM in 36 games played…Ranked second in scoring among defensemen on the team and tied for eighth on the club overall…Registered a goal in the second game of the season for his first point of the year, 9/21/13 vs. VAN…Tallied two four-game point streaks, 10/4/13-10/12/13 and 1/31/14-2/5/14…Picked up two points (0-2—2) and nine PIM in nine postseason contests…Scored four points (1-3—4) in seven games and helped Canada win the bronze medal at the U18 World Junior Championship. 2012-13: In his first season with Victoria, recorded 24 points (6-18—24) and 45 PIM in 67 games…Ranked second in scoring among defensemen on the team and ninth overall…Scored the game-winning goal and added an assist in the first game of the season, 9/21/12 at VAN…Appeared in six playoff games and tallied one point (0-1—1). Personal: Lives in Kamloops, British Columbia…Has a German Shepard named Sascha…Has a younger brother…Greatest hockey memories are winning a gold medal with Canada at the 2015 World Junior Championship and the 2017 Calder Cup…Started playing hockey at the age of two…Hockey nickname is Hicks…Hockey idol as a youth was Joe Sakic…First job was working as a hockey instructor…Proudest accomplishment is signing an NHL contract being undrafted…Supports ALS charities…If he could trade places for a day with another occupation, he would be a pilot…Also played baseball growing up…Favorite food is steak…Favorite musical artist is Eric Church…Favorite television show is Prison Break…Favorite website is YouTube…Enjoys vacationing in Mexico…Favorite sport to watch other than hockey is baseball…Enjoys fishing, golf and hunting.